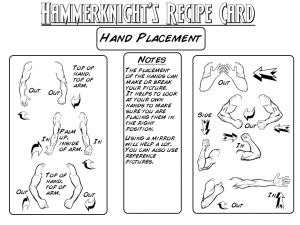 Hammerknight has put together a great quick guide to how to properly place hands on your illustrations. HeroMachine 2 didn't let you change anything from the default spots so it wasn't an issue, but with HM3 you can rotate and move and flip the arms and hands however you like, and sometimes that can cause problems. 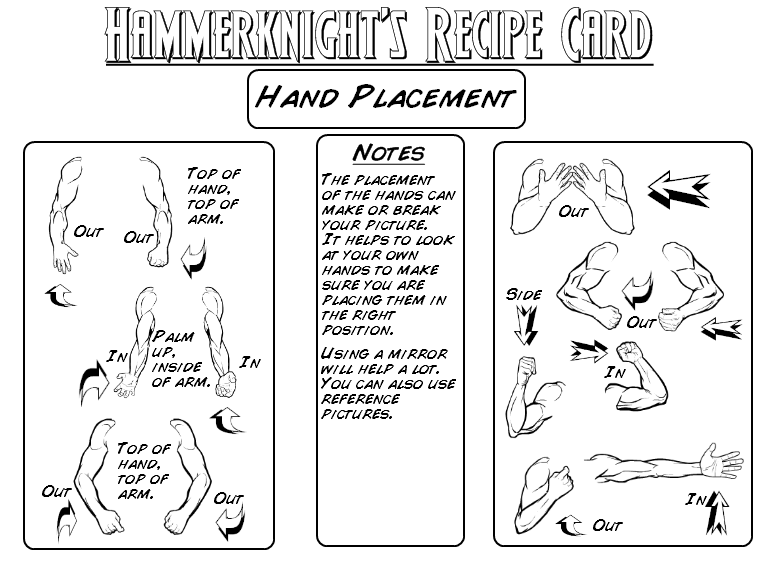 Even we professional illustrators sometimes have to break out a mirror and check out how things are supposed to go, so I am sure you'll find this wonderful guide very handy. Thanks HK! I appreciate this pointer. I’ve seen a few otherwise stellar creations ruined by bizarre hands. It can be jarring, like people missing ears, and all those fine details. Lol, one of my entries was missing his ears. Still kick myself over it. What I’ve been struggling with is getting the hands on the hips pose. Any suggestions? @Gene the hands on the hips are hard right now. Maybe Jeff might put in a set that works with the hips in the future. @Gene let me go through a few of my pictures, I know I have done one or two with hands on hips, but I need to look at them to remember how I did them. I have arms that allow FISTS on hips, using the basic fist-hands, but not the splay-fingered open hand on fist hands. Very doubtful I’ll be adding that. Gene, you can use the open, flat hands. Place them in front of the legs, thumb and all. Then place a little rectangle from the backgrounds, shrunk right down, and the same colour as the pants/legs, over top of the thumb. Then a few lines as necessary to ‘seal’ the leg (the same colour as the legs’ line colour). Then again, with the more detailed pants, that becomes a bit more difficult/time-consuming. Here is an example of what I’m-a talkin’ ’bout. Thanks HK, I’ll give it a shot.